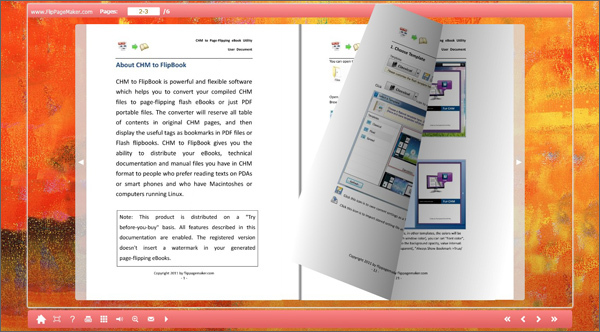 Flippagemaker Free Flash eBook Maker is totally free ebook creator which enables you to quickly convert plain text to flash page flip e-publications. The software allows you to preview the eBook that you create immediately. There are many outstanding features provided, even though it doesn't charge you any penny. To know more about this application, please refer to the following list. - Show share button in the toolbar and then readers can easily share your book on social platforms such as Facebook;- Support three output types: HTML, ZIP, and EXE; support burning page flip book onto a CD. EBook Builder by Blaiz Enterprises (Popularity: ) : EBook Builder is perfect for the budding author or seasoned writer. Compile your valuable penship to Chapters/Book format, using Rich Text Format (RTF) or plain text, into standalone, independent EBooks (.exe), requiring no supportive software. Coffeecup Free Flash Text Wizard (Popularity: ) : Create cool Flash text animations quickly and easily, No Flash Skills Required!, Free Flash Text Wizard.